Zaha Hadid's work is featured in an exhibition in the famous Winter Palace of the Hermitage Museum in St. Petersburg, in the first Russian retrospective of the famous Iraqi architect's work. 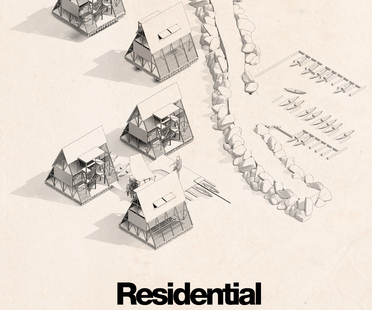 Olivier Ottevaere and John Lin from the University of Hong Kong have designed The Pinch, a library and community centre in Shuanghe, a village in Yunnan province, China. Uneven Growth: Tactical Urbanisms for Expanding Megacities is the culminating exhibition of the 14-month project examining the rapid and uneven growth of six metropolises: Hong Kong, Istanbul, Lagos, Mumbai, New York and Rio de Janeiro. 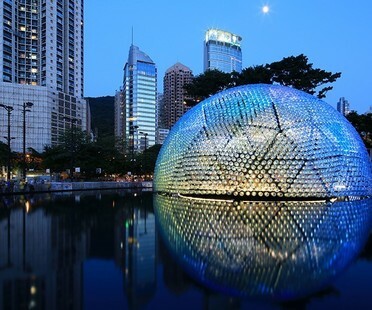 Rising Moon is a plastic moon made out of recycled water bottles, the prize-winning temporary pavilion created by Daydreamers Design to draw attention to the importance of environmental issues among festival-goers at the traditional Chinese autumn festival. The winner of the World Interior of the Year 2014 award was announced on October 4, at a ceremony held in Singapore’s famous Marina Bay Sands hotel: MOTT32, a restaurant designed by Joyce Wang Studio in Hong Kong. One Plus Partnership Ltd’s design for the Cine Times cinema in Hong Kong pays homage to the origins of film. The Kantana Film and Animation Institute in Thailand, designed by architect Boonserm Premthada of Bangkok Project Studio, has been awarded the first prize in the 2014 Wienerberger Brick Award.